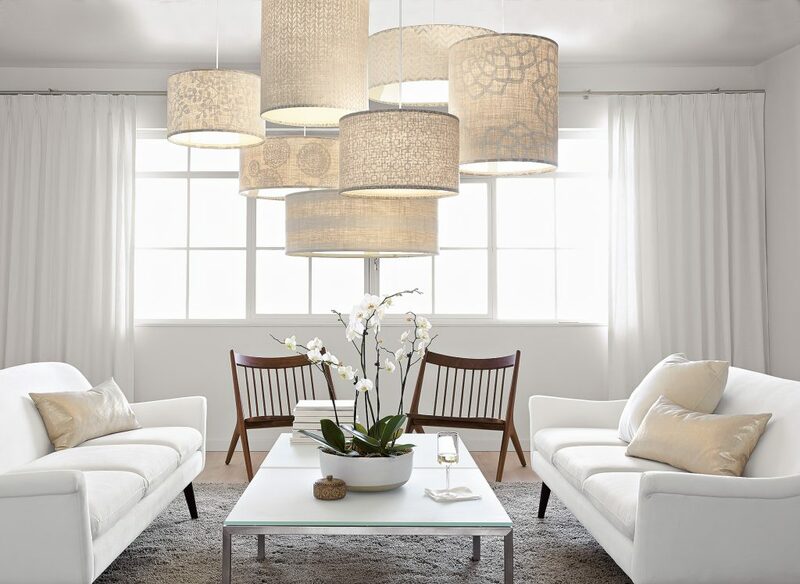 Various sizes of our Basketweave pendants in White make for a playful lighting solution. Add interest by layering tones, materials and textures to create a warm and inviting room. 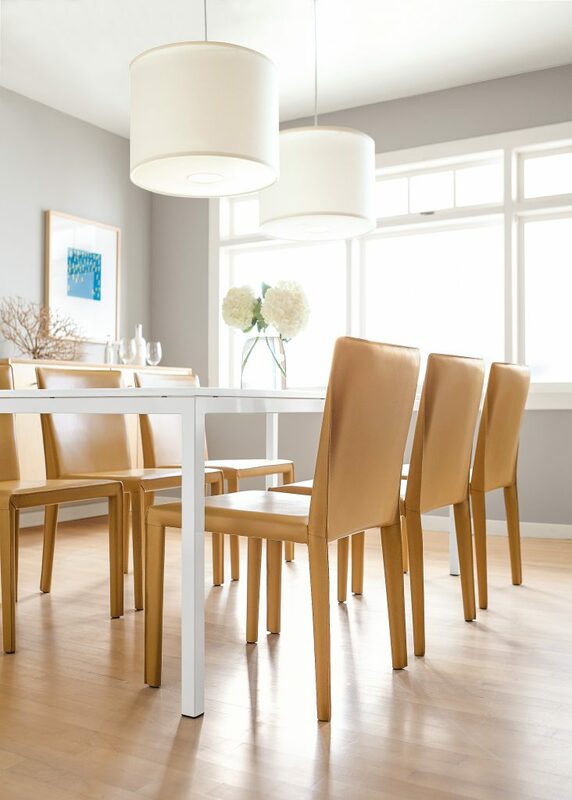 A neutral palette provides a serene and soothing backdrop for your space. Read on to discover how we create tone-on-tone beauty in all types of modern rooms. Our Avery bed masters the beauty of neutral tones with its soft shape and feel. Plus, the artistic Gate rug mixes a darker neutral shade into the bedroom, creating a unique, textured look that doesn’t disturb the monochromatic scheme. This living room makes neutrals anything but boring. 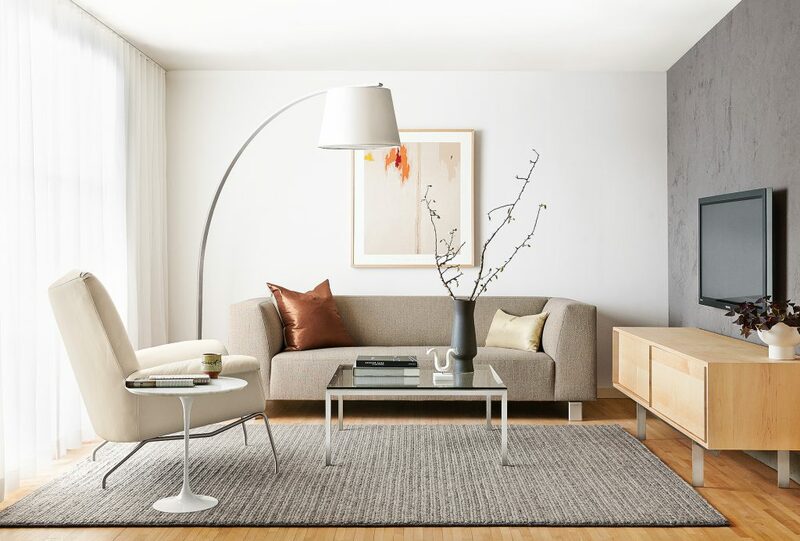 The Streeter floor lamp and Paris leather chair lend beautiful, unexpected shape with their white hues, while our appropriately named Shimmer accent pillows bring excitement to this neutral space. Adding outdoor inspiration in your neutral-laden spaces brings dimension and color in a seamless way. The flowers on our Pratt table and branches featured on our Delano cabinet lend a sophisticated statement by naturally blending the cream, white and camel in this tonal dining room. Every neutral room needs a personal touch. Easily bring in hints of color with photographs or artwork framed in white. Meaningful personal items become the focal point in light and bright rooms like the one above. Not quite sure where to begin when decorating with neutrals? Try something simple, like adding accent pillows. No matter how you combine our pillows, you’re bound to get a neutral look you love with an appealing mix of patterns, textures and sizes.